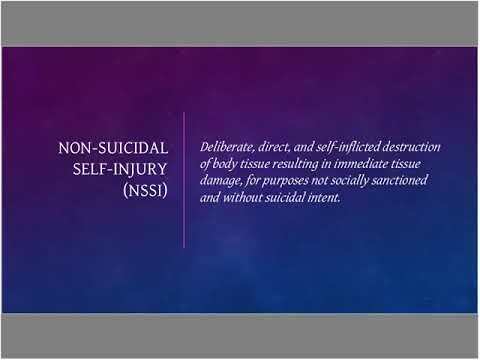 Self-Injury is the self-inflicted and deliberate damaging or destruction of bodily tissue, without suicidal intent, to cope with feelings of distress. It is estimated that over 17% of adolescents inflict self-injury throughout the world, and 12-37% of adolescents do within the United States. Research indicates that self-injury among adolescents has been increasing since 2000 and self-injurious behavior has become more apparent in mainstream media over time. This webinar will provide an overview of adolescent self-injury, and focus on the development of early detection and intervention.